Why Ascophyllum Nodosum Seaweed from Norway? 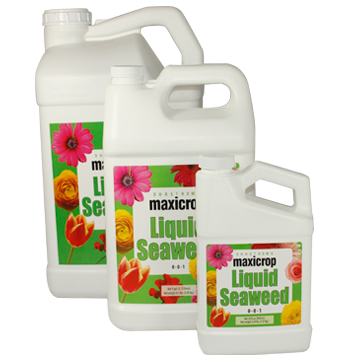 Maxicrop Seaweed is made from the finest seaweed harvested off of the 12,500 mile Norwegian coastline. This is where mineral rich mountain waters, the Gulf stream, and the Arctic waters come together to produce the perfect conditions to grow Ascophyllum nodosum seaweed. Our Maxicrop Soluble Seaweed Powder from Norway has been thoroughly tested and its value proven. Maxicrop is a non-polluting, renewable resource, and is OMRI listed for use in gardens and farms that are certified organic operations. Derived from fresh Norwegian kelp (Ascophyllum nodosum) that contains nutrients that help plants grow in their own unique way. A foliar feed will benefit the plants quickly through the leaves. It also conditions the soil by feeding a multitude of beneficial microorganisms. Maxicrop also works as a soil amendment with many beneficial properties. Seaweed extracts the inorganic substances from the ocean and converts them into organic compounds. Results improve when used in small and repeated doses; highly recommended to maximize results.